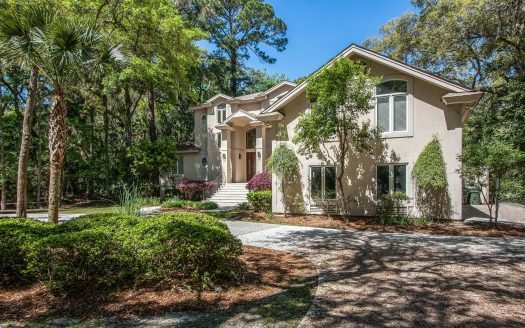 4 Cedar Wax Wing is a delightful 4 bedroom/3 bath home located in the popular South Beach area of Sea Pines on Hilton Head Island. 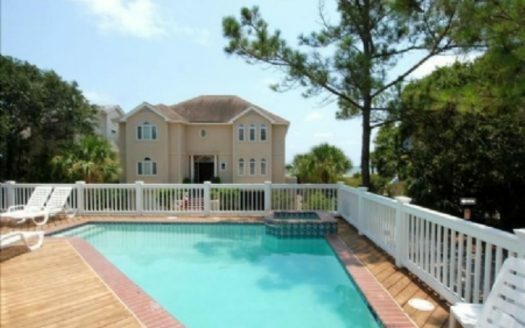 Close to dining, shopping, water sports, fishing and nature cruises, this 4th row home is only steps to the beach, and right next to the beach path. The multi level layout of the home provides great bedroom separation and makes this home perfect for extended families or two families. Upon entering the home, to the right is the spacious living area which also has a dining table that seats 6. Off of the dining room you will find a large screened in porch with a table and 8 chairs for plenty of seating plus a door leading to the outside patio and private pool. The fully equipped kitchen is bright and open, and has tons of counter space for making quick lunches or elaborate dinners. There are 10 steps to the upper level where you will find a Master bedroom with a king bed, flat panel TV and private bath. On this same level are two additional bedrooms, one with a Queen bed and the other with 2 Twin beds. These two bedrooms share a hall bath. Five steps down from the kitchen is the lower level family room which has a flat panel TV and Queen sleeper sofa. There is a desk located here for setting up your laptop. The lower level bedroom has 2 Double beds and shares the hall bath with the family room. There is also an exit from the downstairs to the outside pool area. Enjoy the beauty and peaceful outdoors from the large screened porch or grilling on the back patio. 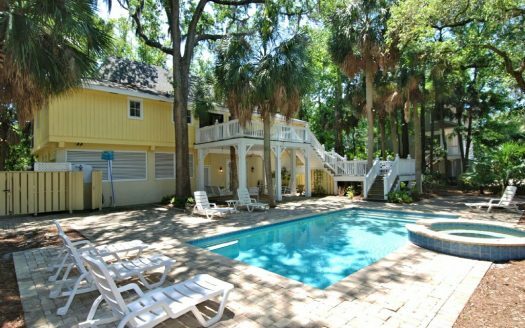 The L-shaped pool is in the back of the home and has plenty of seating around it for relaxing after a day at the beach. 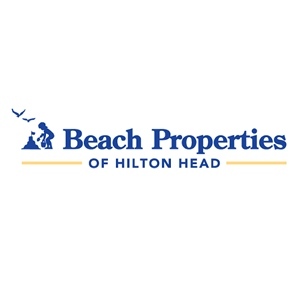 Or evening can be spent enjoying the numerous activities available on Hilton Head Island.